Five years ago, I quit my corporate job to start an independent video game studio. I learned a lot, especially in those early days, and I did a lot of learning online. Online classes are a great way for people to transition into small-business ownership and entrepreneurship; they’re also a great way for established entrepreneurs to pick up a new skill. Want to start your own graphic design shop? How about turn your crafts hobby into a business? Or maybe you want to design your own business website, instead of hiring someone else to do it. 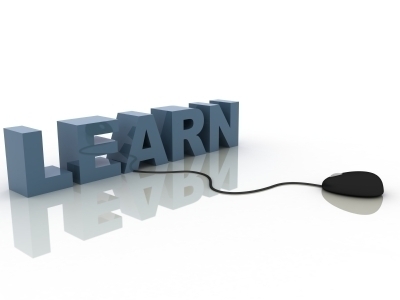 There are any number of online classes available, and you can learn almost anything from them. The best part? Although some classes are pricey, all the classes listed below are inexpensive, from free to $100; require no commuting to class—you can learn right from your couch—and can work with your schedule. 1. Learn graphic design. With the rise of e-publishing and a surge in branding and digital marketing, graphic design is one of the hottest skills to have under your belt right now. Graphic design classes will introduce you to one of the popular graphic design programs, Adobe InDesign, Photoshop or Illustrator. The classes listed below give students a solid understanding of how Adobe programs work and the various ways you can use graphic design to start a new business or improve your marketing materials. 3. Start your own clothing line. If you’re a closet (pun intended) fashionista who is a master with a sewing machine and accustomed to making your own clothes, then it could be time to turn your hobby into a business. Look for a class that walks you through how to create a look-book for your collection, and learn the finer details about selling your line to retailers. 4. Learn how to build a website. Whether you want to build your own website for your own business or for others, your first step is to learn the programming languages HTML and CSS, which will give you the skills you need to get started. Look for a class aimed at beginners, then, after getting this foundation, you can fine-tune both your design and development skills. Examples: Skill Share: Build an HTML and CSS Website From Scratch, Tuts Plus: 30 Days to Your First Website Design and Udemy: Brand Yourself with a Custom WordPress Site. 5. Start an online retail business using Shopify. If you want to sell something online, but you’re not sure how to go about it, it’s worth getting familiar with Shopify. One of the most popular e-commerce sites around, Shopify allows you to totally customize your online shop interface, as well as integrate a blog and other features, too. With an online class, you can learn how to get your store set up, how to add your products, and how to get going with marketing and selling your products. Examples: Start Selling Your Products Online with Shopify and Up and Running with Shopify. 6. Learn how to develop video games. If you love playing casual games and have an idea for the next big hit, but you don’t have a programming background, perhaps it’s time to learn how to make your own video game. With the technology and tools available today, you can get started on the next “Flappy Birds” without having a coding background. In the classes listed below, you’ll learn how to make a video game using the game engine Unity, the fastest-growing tool for game development.